Use Allnet Air for inventory management. Inventory management is the process of ordering, using, and recycling inventory. Allnet’s intelligent inventory management software is a supply chain tool that tracks your telecom technology. This system allows us to see what types of devices and brands are active in your inventory. Device management is one of the most crucial services that we offer at Allnet. When you need to add new wireless devices to your network, we’ll dig into our asset inventory, and your new devices can be shipped the same day. We will support small businesses and midsize organizations with comprehensive mobile wireless support. Our “One Call Does It All” Help Desk is only a phone call or email away. Let us know If you ever need to add, delete, or exchange a device, or just want to change a certain wireless feature. We’re equipped to handle all device management requests. 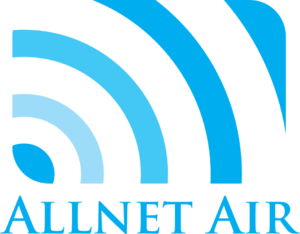 With more than three decades of experience, you can trust Allnet anytime that a wireless change needs to be made. We’ll do it all with just one call. Our world-class telecom expense management (TEM) software system will deliver solutions that you need every time. It’s critical that your accounts payable team always gets an invoice when you purchase a new device. Allnet provides an automated software solution to deliver accurate invoice statements immediately after every transaction. This sophisticated telecom invoice management program makes the invoicing process a piece of cake. Our intelligent TEM system will recognize when a telecom system is sold during its exact point of purchase. After each purchase, an itemized statement is automatically issued in an email attachment.This ensures that you get the right invoice in a timely manner. It doesn’t matter if you prefer digital or paper invoices. With Allnet, you can expect us to provide you with an affordable service and a bill with no errors every time, regardless of your carrier. Contact us at (847) 547-9543 to learn more about our vendor invoice management system or any of our other telecom management programs.